NCERT solutions are widely popular among the students and teachers for their conceptual clarity. The simple language used throughout the NCERT solutions makes learning easy, especially when you are studying complex concepts. The collection of NCERT solutions are selected by our finest and experienced teachers. NCERT solutions for class 11 English Core are very helpful for CBSE exam. You can download CBSE class 11 English hornbill solutions in PDF format. These NCERT Solutions are also available in the myCBSEguide website and mobile app for free. Download NCERT Solutions for CBSE Class 11 English Core Hornbill The Portrait of a Lady Hornbill The Portrait of a Lady English Core for CBSE class-11. online tests, videos, question papers, notes, online quiz and complete study material for free to use. Download NCERT Solutions for CBSE Class 11 English Core Hornbill We are Not Afraid to Die Hornbill We are Not Afraid to Die English Core for CBSE class-11. online tests, videos, question papers, notes, online quiz and complete study material for free to use. Download NCERT Solutions for CBSE Class 11 English Core Hornbill Discovering Tut Hornbill Discovering Tut English Core for CBSE class-11. online tests, videos, question papers, notes, online quiz and complete study material for free to use. Download NCERT Solutions for CBSE Class 11 English Core Hornbill Landscape of the Soul Hornbill Landscape of the Soul English Core for CBSE class-11. online tests, videos, question papers, notes, online quiz and complete study material for free to use. Download NCERT Solutions for CBSE Class 11 English Core Hornbill The Ailing Planet Hornbill The Ailing Planet English Core for CBSE class-11. online tests, videos, question papers, notes, online quiz and complete study material for free to use. Download NCERT Solutions for CBSE Class 11 English Core Hornbill The Browning Version Hornbill The Browning Version English Core for CBSE class-11. online tests, videos, question papers, notes, online quiz and complete study material for free to use. Download NCERT Solutions for CBSE Class 11 English Core Hornbill The Adventure Hornbill The Adventure English Core for CBSE class-11. online tests, videos, question papers, notes, online quiz and complete study material for free to use. Download NCERT Solutions for CBSE Class 11 English Core Hornbill Silk Road Hornbill Silk Road English Core for CBSE class-11. online tests, videos, question papers, notes, online quiz and complete study material for free to use. Download NCERT Solutions for CBSE Class 11 English Core Hornbill A Photograph Hornbill A Photograph English Core for CBSE class-11. online tests, videos, question papers, notes, online quiz and complete study material for free to use. Download NCERT Solutions for CBSE Class 11 English Core Hornbill The Laburnum Top Hornbill The Laburnum Top English Core for CBSE class-11. online tests, videos, question papers, notes, online quiz and complete study material for free to use. Download NCERT Solutions for CBSE Class 11 English Core Hornbill The Voice of the Rain Hornbill The Voice of the Rain English Core for CBSE class-11. online tests, videos, question papers, notes, online quiz and complete study material for free to use. Download NCERT Solutions for CBSE Class 11 English Core Hornbill Childhood Hornbill Childhood English Core for CBSE class-11. online tests, videos, question papers, notes, online quiz and complete study material for free to use. Download NCERT Solutions for CBSE Class 11 English Core Hornbill Father to Son Hornbill Father to Son English Core for CBSE class-11. online tests, videos, question papers, notes, online quiz and complete study material for free to use. 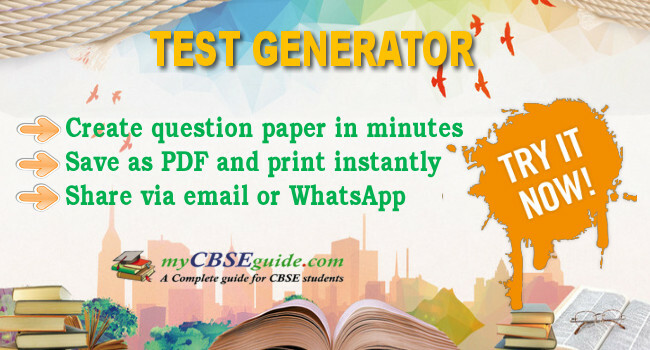 Download NCERT Solutions for CBSE Class 11 English Core Snapshots The Summer of the Beautiful White Horse Snapshots The Summer of the Beautiful White Horse English Core for CBSE class-11. online tests, videos, question papers, notes, online quiz and complete study material for free to use. Download NCERT Solutions for CBSE Class 11 English Core Snapshots The Address Snapshots The Address English Core for CBSE class-11. online tests, videos, question papers, notes, online quiz and complete study material for free to use. Download NCERT Solutions for CBSE Class 11 English Core Snapshots Rangas Marriage Snapshots Rangas Marriage English Core for CBSE class-11. online tests, videos, question papers, notes, online quiz and complete study material for free to use. Download NCERT Solutions for CBSE Class 11 English Core Snapshots Albert Einstein at School Snapshots Albert Einstein at School English Core for CBSE class-11. online tests, videos, question papers, notes, online quiz and complete study material for free to use. Download NCERT Solutions for CBSE Class 11 English Core Snapshots Mothers Day Snapshots Mothers Day English Core for CBSE class-11. online tests, videos, question papers, notes, online quiz and complete study material for free to use. Download NCERT Solutions for CBSE Class 11 English Core Snapshots The Ghat of the Only World Snapshots The Ghat of the Only World English Core for CBSE class-11. online tests, videos, question papers, notes, online quiz and complete study material for free to use. Download NCERT Solutions for CBSE Class 11 English Core Snapshots Birth Snapshots Birth English Core for CBSE class-11. online tests, videos, question papers, notes, online quiz and complete study material for free to use. Download NCERT Solutions for CBSE Class 11 English Core Snapshots The Tale of Melon City Snapshots The Tale of Melon City English Core for CBSE class-11. online tests, videos, question papers, notes, online quiz and complete study material for free to use. NCERT Solutions Class 11 English core PDF (Download) Free from the myCBSEguide app and myCBSEguide website. 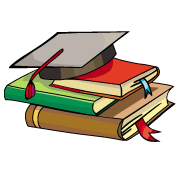 Ncert solution class 11 English core includes textbook solutions from both part 1 and part 2. 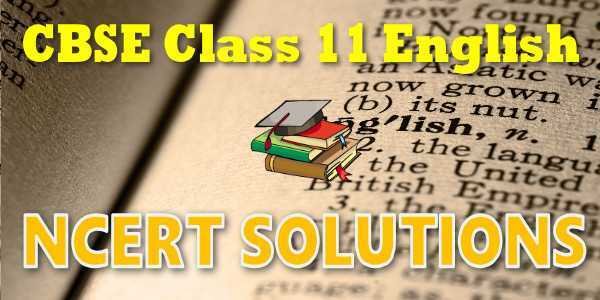 NCERT Solutions for CBSE Class 11 English core have total 17 chapters. Class 11 English core Solutions in pdf for free Download are given on this website. Ncert English core class 11 solutions PDF and English core ncert class 11 PDF solutions with latest modifications and as per the latest CBSE syllabus are only available in myCBSEguide.